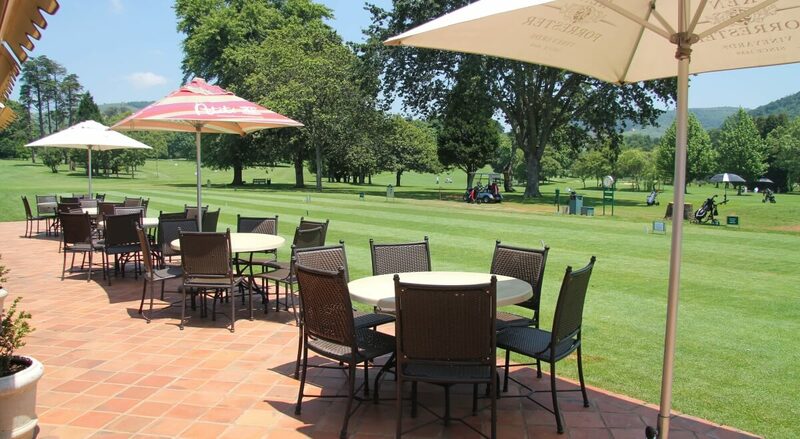 Welcome to Bosch Hoek Golf Club. Surrounded by scenic views, fresh country air and a cool breeze rolling through the valley these are some of a few memories you will take home on your first visit at our stunning Parkland Golf Course. Golf Course Designer and Architect, Robert Grimsdell, had amazing vision as well as a wealth of knowledge when he arrived in the KZN Midlands. Some say the surrounding farmland on which Bosch Hoek is situated is some of the most fertile, nutrient rich soil in the country, of course Grimsdell knew this and without hesitation designed what is sure to be one of the best Nine Hole Golf Courses in the Country. My name is Brad Ross, Director of Golf at Bosch Hoek Golf Club. I will be assisting you on a Hole by Hole analysis as we explore the possible ways of playing Bosch Hoek Golf Course. The elegant Bosch Hoek Clubhouse enhances the overall “Bosch Hoek Experience” & the staff will certainly provide you with friendly & efficient service. The Terrace leading out from a fully equipped bar offers spectacular sunset vistas over the course, watch play on the 1st & 10th tee-box or enjoy a leisurely lunch & a superb view of the course. A professional kitchen serves hearty meals & a fully stocked Pro Shop, well-appointed changing facilities & superb practice facilities cater for the most discerning golfer. Stocked with the latest golfing apparel & offering a broad range of clothing, footwear & accessories, the discerning shopper is spoilt for choice. 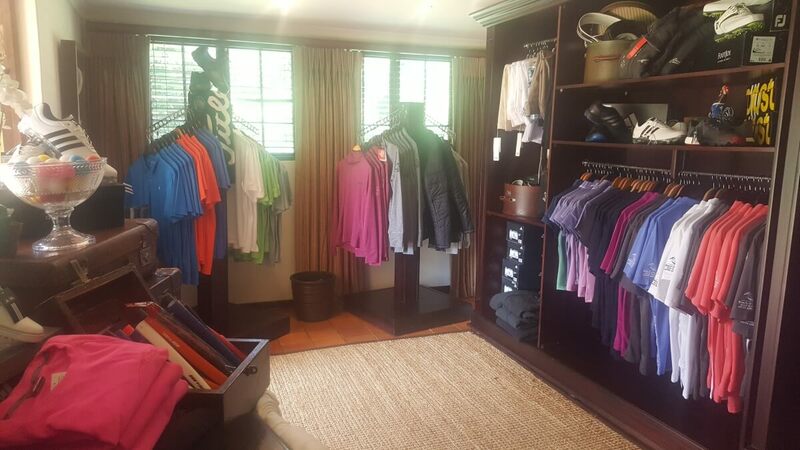 Managed by qualified PGA Professional, Brad Ross, the Pro Shop offers individual club fittings & customisation; there is something for everyone at the Pro Shop. Bosch Hoek has tried to capture a luxury style locker room facility, which is modern yet classic. 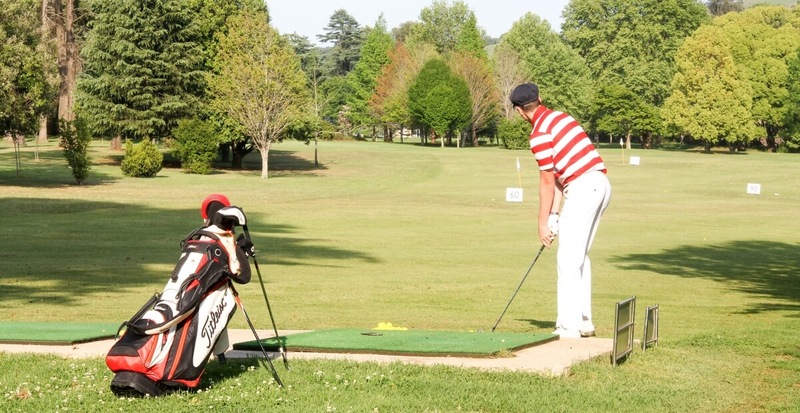 Golfers are welcome to use & enjoy the practice range, practice green & practice bunker prior to their round of golf. We have a fleet of thirty (30) golf carts & sixteen (16) pull carts for hire. We also offer both men’s and ladies clubs for hire. Situated on the Terrace of the Clubhouse (to make the ‘stop’ quicker & more convenient,) the Halfway House, overlooking the 1st & 10th tee-box, offers you a wide range of foods, beverages &snacks for the course. It was designed to enhance your golfing experience & is the perfect break between nines. Preferred lies on the “Fairway in Use” – 30 cm by hand only. Carts to use 90-degree rule at all times in wet conditions & to keep 10-15m away from the fringes. GPS units & range finders are allowed to be used. A ball embedded in its own pitch-mark through the green may be lifted, cleaned & dropped; without penalty. Marked drop zones may be used on the 5th, 14th, 6th & 15th holes. All fairway distances are measured to the front of the green. All distances on the tees are measured to the middle of the green. Pin sheets indicate distance in meters from the front of the green. Stones in bunkers are movable obstructions. Rule – 24 -1 applies. All bunker rakes must be left inside the bunker. Complete the first nine (9) holes before playing holes ten (10) through eighteen (18). Cancellation of tee times is permitted with full refund 24 hours prior to tee time. Refunds will be credited to the booking credit card only. Cancellations & booking amendments can be made by calling the Pro Shop on 033 234 4232. Cancellations less than 24 hours of their tee time will not be refunded. Groups of sixteen (16) or more can book up to twelve (12) months in advance but this involves (60) days (2 months) advance payment of 50% deposit without refund or cancellation & is subject to terms & conditions. The above Booking & Cancellation policy applies to Golf Cart bookings as well. Golfers must arrive ready to play 30 minutes prior to their booked time. Players who arrive late have lost their booking & will not be refunded. The Golf Operations Manager will endeavour to find an alternative time on the day for late players but play at his discretion. In the event of players choosing to start a game then opting not to continue or choosing to leave the course (i.e. due to heat, rain, lack of time, or illness) no refund will be made to said players. The Golf Operations Manager has the authority & absolute discretion as to when the course is unplayable or too dangerous to play due to storm, lighting & flooding. In such events, he may, at his discretion, suspend play. Should there be inclement weather & the Golf Operations Manager declares the course unplayable we will happily re-schedule or cancel your tee time. Shirts with collars & sleeves are to be tucked in at all times. Traditional long or short golf trousers with belt or clasp. Drawstring & cargo pants are not allowed. Traditional knee-length or short socks may be worn with short trousers. Traditional golf hats or peaks to be worn with the peak forward. Short socks & anklets must be predominantly white when worn with shorts. The regulation dress code of the Women`s Golf Association of South Africa applies. Fashionable golfing attire is encouraged, but should be of a modest nature. Garments with low necklines, bare midriff or made from denim fabric are not permitted on the golf course. Any person dressed inappropriately will not be allowed access to the golf course or driving range. We wish you a pleasant round! Please repair all divots & pitch marks. Please make sure you are on the tee at least 5 minutes ahead of your allocated time. Sandbags with sand are compulsory to fill divots. Speed of play is of great importance to the enjoyment of your round & those behind you. Strictly two (2) persons only per golf cart. Keep golf carts off all tee boxes. Cellular telephones are not allowed to be used on the course or on the driving range. One of the most frustrating things for green keepers everywhere is to deal with the damage caused to the surface of a green by golf pitch marks. Well, actually, it isn’t the damage that’s frustrating. The damage is inevitable. What’s frustrating is when golfers are far too lazy to repair those golf pitch marks resulting in damage to the greens & impacting on the smoothness of the putting surface. This is not rocket science, but good golf etiquette. All golfers have to do is bend over & stick your pitchfork in the ground a few times, then tap the mound down with the bottom of your golf putter. If you do not have a pitchfork, a golf tee more than adequately repairs the damage done. It really isn’t that tiring! An un-repaired golf pitch mark damages the greens mowers – which are expensive pieces of equipment. 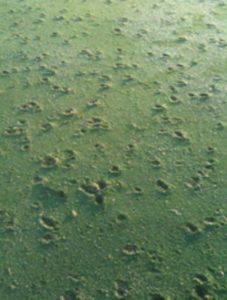 An un-repaired golf pitch mark leaves ugly dead spots on the green & the greens are expensive to maintain. An un-repaired golf pitch mark results in golf putts not running smooth due to bumpy putting surfaces caused by the indentation left by golf shots. DO NOT replace the loose piece of turf taken out by the ball. It will die & delay the healing process. Locate the lowest spot around the edge of the bunker that is convenient to your ball. This will be your entry & exit point. Identifying this spot keeps you from walking down a steep facing (possibly damaging the turf), stepping off a higher rim (leaving deeper footprints), or having to walk a longer distance which would require raking a greater area of sand. Once you’ve identified the most convenient low spot from which to enter & exit … enter! Notice that the man in the picture is carrying the rake into the bunker with him. Contrary to what some golfers believe, it is not only within the rules to take a rake into the bunker with you; it is advisable to do so because it speeds up the process. Play the shot. Notice that the man in the picture has dropped the rake directly behind the area where he has taken his stance. You should drop the rake at a convenient spot, within reaching distance. Otherwise, in retrieving the rake, you’ll just add more area of sand that needs to be tended. Begin raking over the signs of play from the sand – the area where your club made contact with the sand & your footprints. Pull the tines of the rake toward you as you begin moving back to the rim of the bunker. But be careful not to pull too much sand toward you. The idea is to restore an even surface to the sand without displacing too much sand. If you are pulling too much sand toward you, try pushing the tines outward a few times, too. All the while, you should be progressing back to the edge of the bunker. To complete the raking, step out of the bunker & make your final few passes over the sand with the rake. Unless otherwise instructed at the golf course (check the scorecard & any bulletin boards inside the clubhouse), replace the rake outside the bunker parallel to the line of play. When you are finished, the sand’s surface should be evened out, with no signs of divots or footprints, & no excess sand having been pulled toward the bunker’s edge. There will be little furrows left from the tines of the rake. Bosch Hoek Golf Club offers you or your company the opportunity to sponsor one of our popular Members’ Golf Days for R 2 500 per golf day.